This past summer I had the privilege of visiting India with my husband, Ethan, and his younger sister, Emily. All told, it was an incredible experience and I am glad that we went despite the oppressive heat and a few bumps in the road (literally and figuratively). I’ve given the trip quite a bit of thought as it was unlike any trip we’ve ever experienced; which is good thing, but something we were wholly unprepared for. I knew I wanted to write about our experience, but I struggled to focus in on one specific theme. Our experiences with India’s people, places and food were varied and cover many of the different trials and triumphs of travel. In the end, I’ve come to realization that the overall theme is one of culture shock. We’ve certainly experienced varying degrees of culture shock. Probably the most when we lived and taught in Thailand for 6 months. However, we had time to get used to it and eventually Thai culture became normalized for us. I guess we thought that if we could handle that we could handle anything. It certainly helped, but I’m not sure anything could have prepared us for India. The first thing I really struggled with was being covered up. Hindu culture is fairly conservative and most women (at least where we were) wear long pants or skirts and long sleeve shirts. My body doesn’t handle heat very well, so I was definitely nervous about being respectful, but not dying of heat. I was very unprepared for the heat and ended up going to the Taj Mahal in shorts and a tank top because I knew I would not last in pants and a shirt. We figured there would be throngs of other Westerners doing the same, but there weren’t. And I don’t mean they were there, but covered up - they just weren’t there. There were maybe 15 other Westerners there. And us. I’ve never felt so naked in my life. I kept pulling my shorts down and trying my best to be a little more modest. Our guide assured us that we were fine and that people understand that we aren’t used to the heat. That didn’t make me feel any less uncomfortable though. The hardest part was not getting mad and keeping myself from thinking of how unfair it was that women had to be covered and men didn’t a lot of the time. Many Indian men we met literally never wore a shirt. This topic alone could span pages and pages, but it’ll have to wait until another time. I could also spend many pages talking about how hard it was to get used to the general way we were treated as women in India. Everyday we faced this when our driver would only take directions from Ethan. I would tell him where to go and he would look directly at Ethan and ask again. It was difficult to walk that thin line between cultural acceptance and understanding and wanting all humans to be treated equally regardless of religion, culture, etc. Another thing that shocked us was the amount of people that wanted pictures with us. It started at the Taj Mahal and lasted the entire trip. This happened on occasion in Thailand, but it was pretty rare and they mostly wanted pictures of Ethan because he’s 6’3”. This was something completely different and it took us all by surprise. Everywhere we went, people would literally line up to take pictures with us. And if we said yes to just one person, it was over. There would be several more waiting. As soon as one group would leave, another would show up and want to pose with each of us individually - and sometimes they just wanted my husband and his sister, we assume because they are white. Once, a guard chased a group of twenty-something guys away from Emily and I. It was pretty funny, but we also wondered why he thought that was necessary. It’s definitely a bit of a catch 22 because we wanted to be open to this unusual practice and we often struck up conversations with these people if they spoke decent English. But we also struggled to let go of our norms of politeness; we just don’t do this where we live. 95% of our trip was spent in the Rajasthan state and it was apparent that they don’t get as many white visitors as some other places in India. They definitely cared more about getting pictures with Ethan and Emily, which was strange for me because I always get approached in countries where my skin color is close to the native population. I was mistaken for being Thai more times than I can count. One person told me my hair was too light to be Indian. Overall, people taking pictures with us was frustrating at first and was a big surprise, but we rolled with it and tried not to let our Western standards of politeness impact our experiences with the Indian people. The last thing that we struggled with in India was getting invited in for tea. You may be thinking, “Isn’t that a good thing?” Yes, it was. To an extent. At first, we were apprehensive about this practice mainly because it’s not something that we are used to in the U.S. We were also told by our driver not to take drinks from strangers. It’s always an exercise in letting go of what you’re used to in any country, but we’ve also grown accustomed to just kind of going about our agenda while traveling and not really taking the time to immerse ourselves. I think some of you can probably relate. It’s hard to commit to an indeterminate amount of time drinking tea when there are sights to see! We wanted to try and make sure we were actually experiencing India though, so we agreed to a few of these tea invitations. We spent over an hour drinking tea and playing chess with one guy and spent another hour with a guy in his shop who then tried to talk us into buying traditional Indian saris. He showed us how to put them on, which was awesome, but we didn’t exactly budget for them monetarily or for the actual physical space they would take up in our bags. Even though some of these tea sessions ended with us being slightly frustrated, we were glad we accepted. We learned a lot about how the Indian people go about their lives iand how they felt about a lot of the things going on in the world. Spending our precious sightseeing time with strangers drinking what we hoped was actually tea was definitely a huge departure from what we’re used to and I, especially, had to set aside my constant urge to politely excuse us and go about our travels in our own little bubble. Traveling is my number one passion in life and I hope to see as many countries as I can. Of all the places I’ve been, India tested me the most. So, I encourage you to visit if you ever get the chance. It will likely impact you in ways you never thought possible. My daughter is turning 12 next month, which is both exciting and terrifying because the teen years are around the corner. But the exciting part is that she is now old enough to be a great travel companion. She’s been a lot of places in her young life. By the time she was six years old she had been to Hawaii 6 times, but guess what? She has no memory of it. She doesn’t remember Cozumel either or a whole list of other trips we’ve taken. So now I feel like she has finally reached an age that if I take her on amazing trips she will remember them and carry those experiences into her adult life. Last summer I went on an epic trip by myself. It was my first solo travel experience other than business trips and it was incredible. I started my adventure in Playa del Carmen for a few days and then from there traveled to Tulum for a week. From Tulum I hopped on a bus to the border of Mexico and Belize and then water taxied to a little island called Caye Caulker, Belize. The 4 days I spent in Caye Caulker were some of the most relaxing days I have ever had. I had the time of my life! It was during that trip that I came up with the idea of traveling with my daughter Kaia to a different country every summer until she graduates from high school. 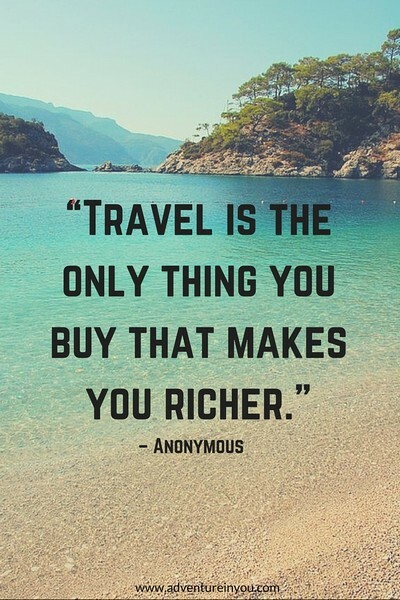 That leaves 6 summers to explore at least 6 different cultures. So our adventure begins on July 20th and I can’t wait. We will be starting where I left off last summer, Caye Caulker. I fell in love with that little island and I can’t wait to share it with my daughter. Then after 4 nights or so in Caye Caulker we are going to go to Placencia, Belize. I heard about Placencia from my dental hygienist! She is from there and told me they have the best beaches in Belize, so of course I must check it out! Then after that we are heading to Roatan, Honduras! I discovered Roatan by looking at a map of Belize and trying to figure out what was nearby, saw Roatan, searched it on Pinterest, saw these photos and I was sold! Part of what I want to teach her is of course that she is very blessed to lead the life she does. I work very hard to provide every thing I can for her and as she moves into her teen years I want to transition her desires from “things” to “experiences”. I want her to have a better understanding of the world around her and I love the idea of both of us getting a global education together. I want to show her there are more exciting things than apps and Netflix. I want to watch her explore and nurture her natural sense of curiosity. I want to hear her whine less and squeal with delight more. So I am very excited for this trip and all of the trips that will follow in the next six years. We’re starting with Central America but Europe, Africa, and South America are all in my future plans. I am going to target certain areas that have particular meaning to us, I am starting with Belize because I really fell in love with it last year and I want her to experience it too. Plus we are both total beach bums so any island location will always be at the top of my list.